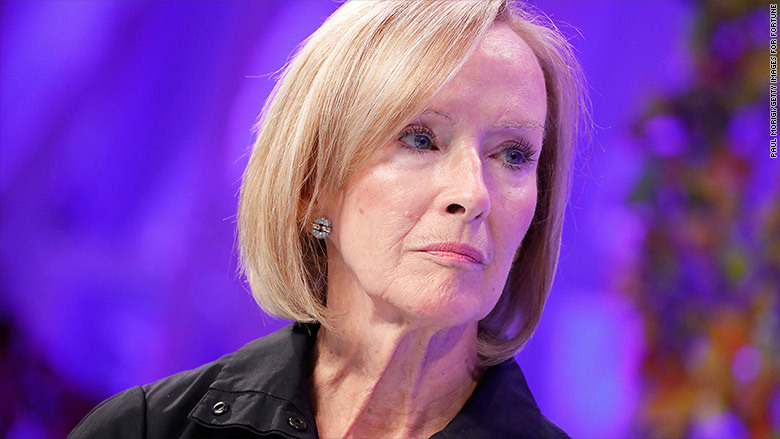 PBS is naming Judy Woodruff the sole anchor of the "NewsHour," its flagship nightly newscast. The announcement on Thursday formalized the future of the "NewsHour," nearly a year and a half after Woodruff's co-anchor Gwen Ifill died. "Gwen's passing was a tragic and shocking event," Sara Just, the executive producer of the "NewsHour," said in an interview. "Our initial thinking was, 'Who do we get to fill that role?'" Just said. But after some deliberations "we thought, rather than try to recreate the magic of the past, we should build for the future." To that point, the program is also announcing the hiring of two new correspondents on Thursday, bringing the total to eleven. Amna Nawaz, who has been a reporter for NBC and a digital anchor for ABC, will be a correspondent and fill-in anchor. Nick Schifrin, a former ABC and Al Jazeera America correspondent who has been contributing to the "NewsHour" for the past couple of years, will be foreign affairs and defense correspondent. "As the news is just so challenging every day," Just said, "We just need a deeper bench." She said the idea is to grow the program around Woodruff, "for now and for the future." Woodruff, a former NBC and CNN anchor, has been anchoring the "NewsHour" since 2011. She and Ifill were formally named co-anchors and managing editors in 2013. While the newscast reaches a smaller audience than its commercial rivals on NBC, ABC and CBS, it is frequently celebrated for in-depth reporting and interviews. The program is produced by WETA, a PBS station in Washington, and distributed to stations all across the country.